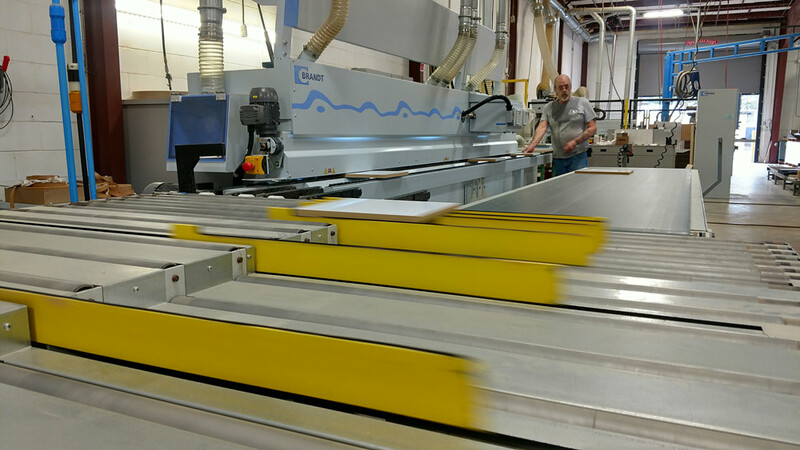 Manufacturing High-Quality Cabinet Fronts | ACS, Inc.
ACS has invested in equipment, processes and people to achieve the production environment we enjoy today. Our LEAN culture allows us to produce custom-sized door and drawer fronts with short lead times in an array of colors and patterns. 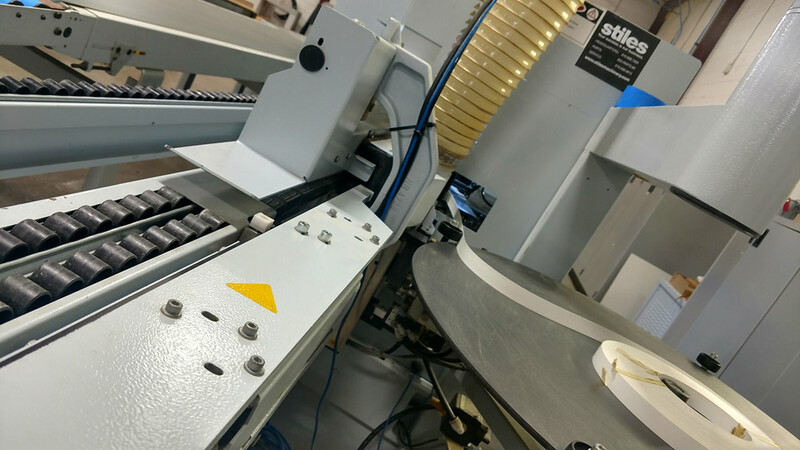 Our manufacturing facility located in Buford GA is outfitted with modern high-production equipment such as a Holza beam saw, Weeke router with off-loading conveyor, Brandt edge bander, and more. Our precise manufacturing processes produce the finest laminate doors in the industry. All solid colors use zero edge banding, which results in a visually seamless product. Wood grains receive a matching 1mm conventional banding. Our LEAN approach reduces lead time and allows us to ship our fronts within 12 days. 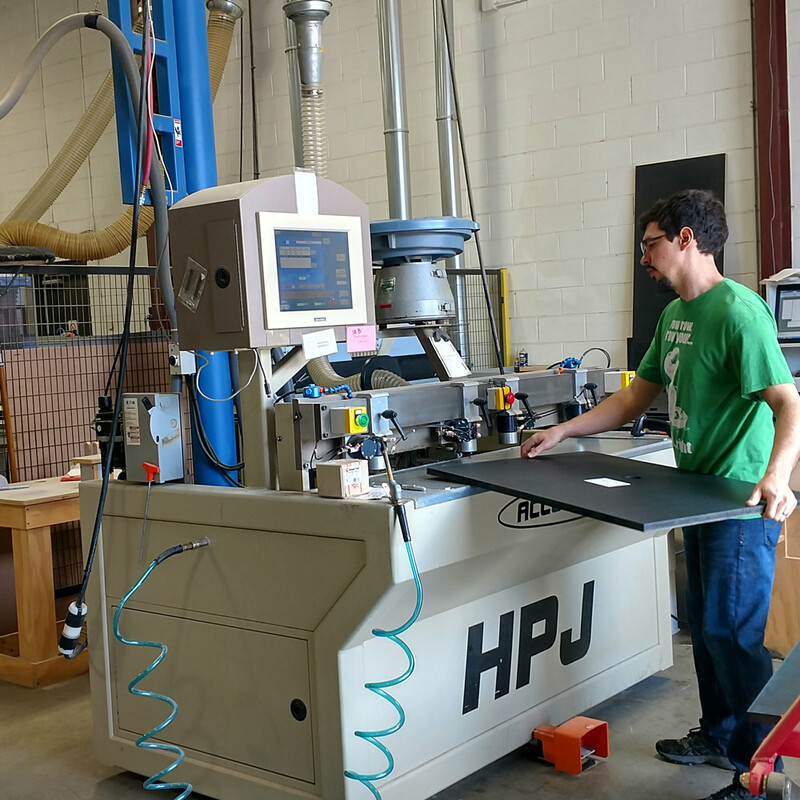 It also provides consistency so our customers can expect the same high-quality standards on every door they receive. Industry 4.0 integration enables orders to flow seamlessly from our online store through our shop, from start to finish. Customers place orders online with our product configurator, ensuring accuracy and ease of use.